This is a perfect Summer dish because it is cooked on the grill. There are also very few dishes involved in the process which makes it ever better. During the cooler months these can be cooked in the oven at 400 degrees for about 30 minutes or until the potatoes are tender. Smoked sausage cooked with potatoes, onion and bell pepper. 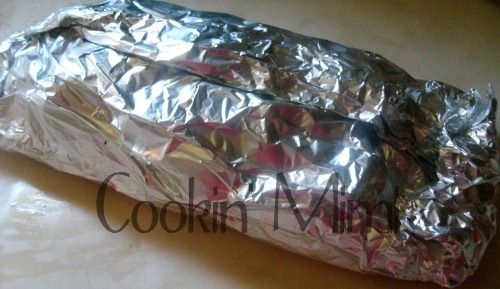 Toss the foil packets on the grill and 30 minutes later you have dinner. Cook covered on a hot grill for 25-30 minutes or until potatoes are tender and sausage is hot. Be careful when opening packets because there is a lot of very hot steam trapped in there. Here via SITS31DBBB from the Day 15 thread. I LOVE hobo packets! They’re one of my favorite camping meals to throw into the fire. Our recipe is basically the same- chunk up some veggies and potatoes, throw in some sausage… lol, and a hefty chunk of butter. Looks tasty. Your blog is lovely! Great idea! 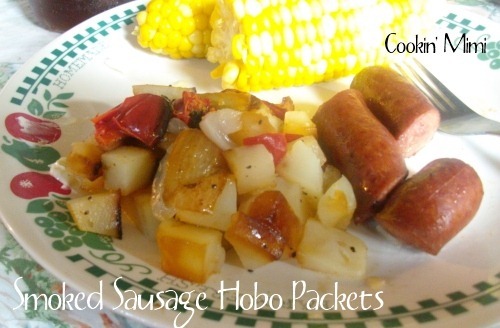 The kids love hobo packets, but I never thought to use smoked sausage in them.